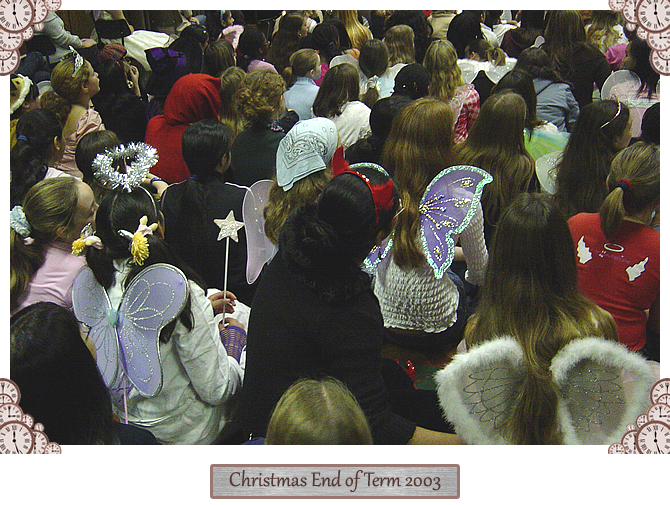 On the last day of the Autumn term girls came to school armed with cushions (sitting on the hall floor for a couple of hours was a 'bum-numbing' experience....), long strings of tinsel (for the arm waving rendition of 'White Christmas'), masks, reindeer antlers, LED flashing earings and badges and any other festive-wear they could think of. The pre-rec assembly was a show put on by Staff. 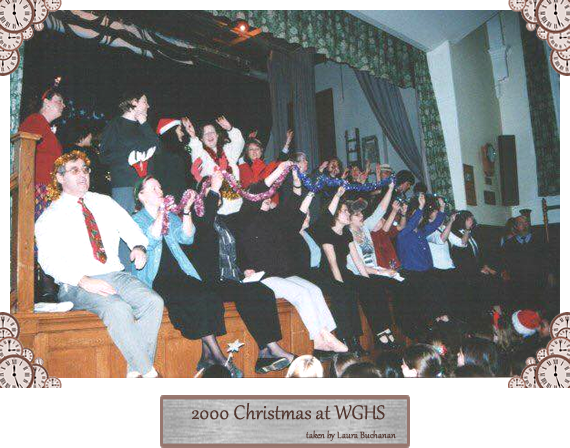 There were standard items, such as Classics (Mrs. Beardsmore, Miss Ramella and Mr Royston) leading the singing of songs and Mrs. Brierley acting as a compare and telling awful cracker jokes. 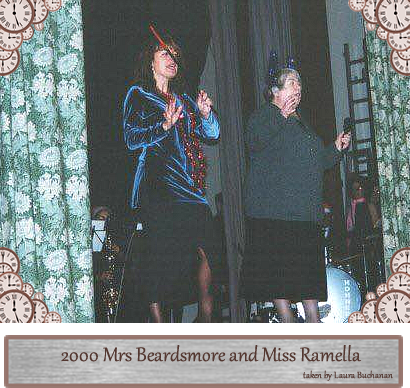 The Science department did a panto and Miss Nash and Miss Leigh did some wonderful performances (I remember 'We're a Couple of Swells' as if it was yesterday. At the end of the show there would be a very animated sing-song... led by all of the Staff on the stage. The jazz band played an important role in that. The finale being 'White Christmas'. 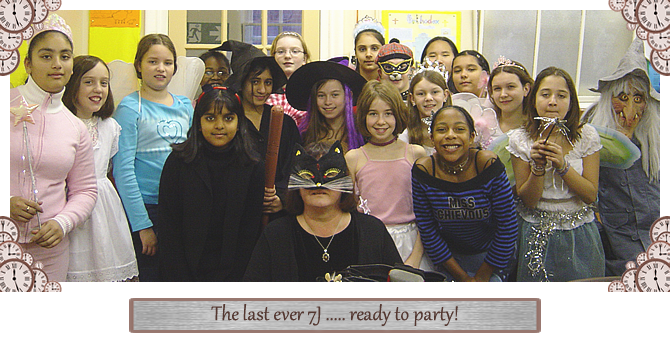 Then there were form parties during and after an extended rec. At 12 noon a bell would ring for everything to be put away. The tinsel, makeup and flashing lights all disappeared. Miss Price would do her rounds to check everything was in order. Then there was lunch... an early start to the afternooon (1pm) and the final 'real' assembly.